Now that summer is here many of us are planning upcoming camping trips. Check out these ideas for camping recipes to try out something new! Camping season is getting underway and it’s time to start preparing! For many of us, camping food consists of hamburgers, hot dogs, s’mores and a few other staples. Maybe the fish you catch on your trip. But after years of camping, this can start to seem a little stale. It’s time to get creative with your camping food! There are so many things that can be cooked over a campfire or on a grill! If you’re ready to change things up on your camping trip this summer, check out the ideas in our camping recipe roundup! Camping Recipe Ideas to Try this Summer! 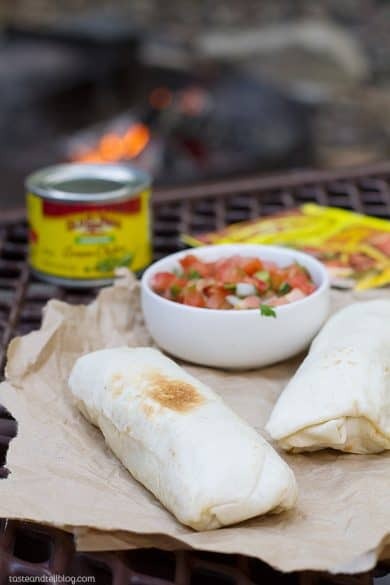 These delicious breakfast burritos are the perfect way to shake up your breakfast routine on your summer camping trip. 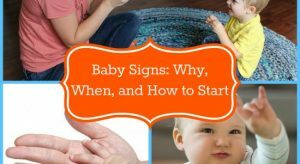 These are convenient and kid-friendly too. You can make your breakfast burritos at home before you leave, wrap them up, and then cook them over your campfire the next morning. So easy! This dip is more than an appetizer. It’s hearty enough to serve as your family dinner. And can be cooked and eaten around the fire. 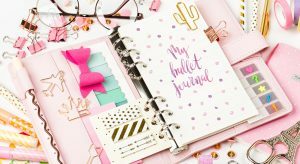 It makes an ideal camping recipe for large groups too because it serves a crowd. Don’t forget the chips! 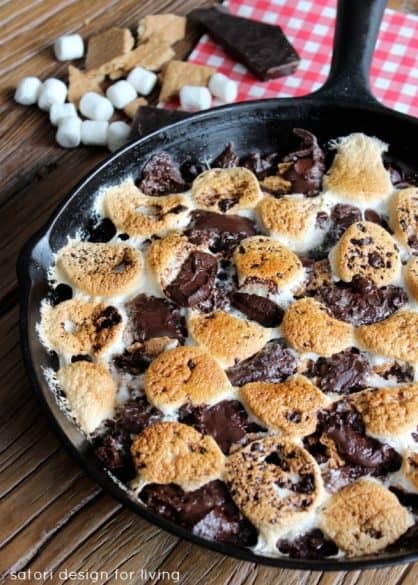 If you thought s’mores couldn’t be any better, wait until you try these s’more brownies! No camping dessert ever tasted so good! 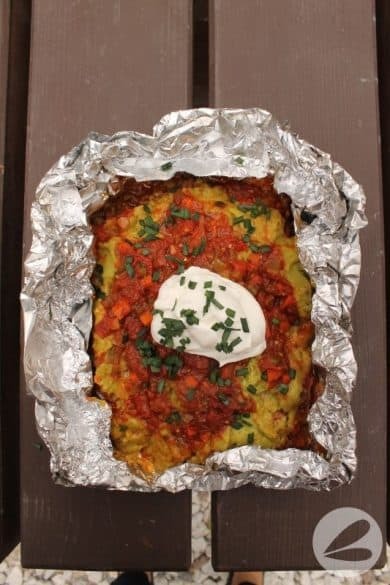 A fun twist on a camping recipe favorite. Indulge! You’re on vacation! Bring the comfort of a home-cooked dinner along on your camping trip! 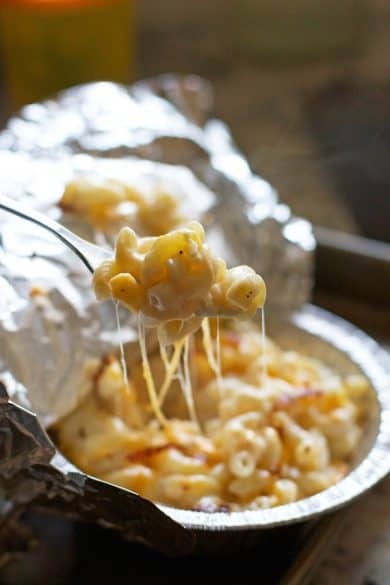 Melt in your mouth delicious mac & cheese is the perfect dinner for your family campout. It’s kid-friendly and can be cooked just about anywhere you can place a grill over a firepit. Enjoy! You’ll need a grill for this camping recipe. But most of us pack one except for the most minimalist of campers. And it will be totally worth it! I am a big fan of foil package cooking, especially on a campout. This recipe is so flavorful. And it’s a great way to use your summer veggies. This is my favorite camping recipe on the list. And probably ever. It’s breakfast, it’s dessert, it’s an amazing around the fire snack. Basically, you will want to eat it all day. 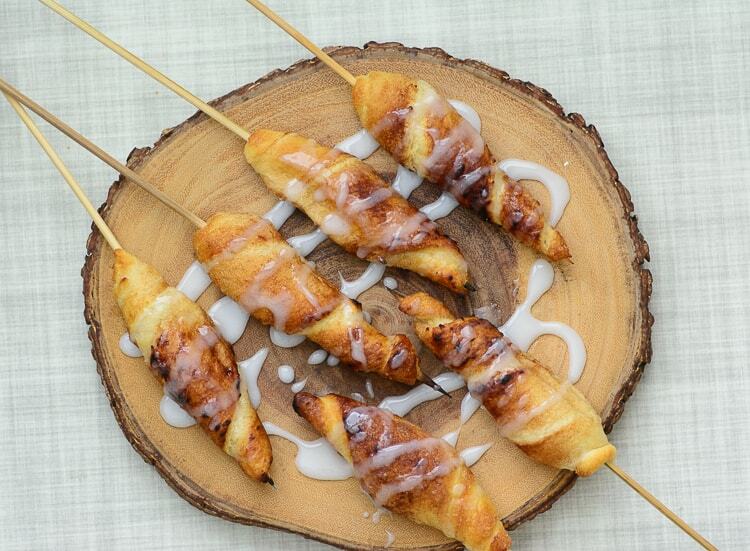 Did you ever imagine you could make cinnamon rolls on a campfire? Well, now you can. And they are awesome. They might edge out s’mores for favorite campfire treats in my family. This recipe looks fancy but is actually easy to make. And it’s a hearty and delicious meal for your camping trip. 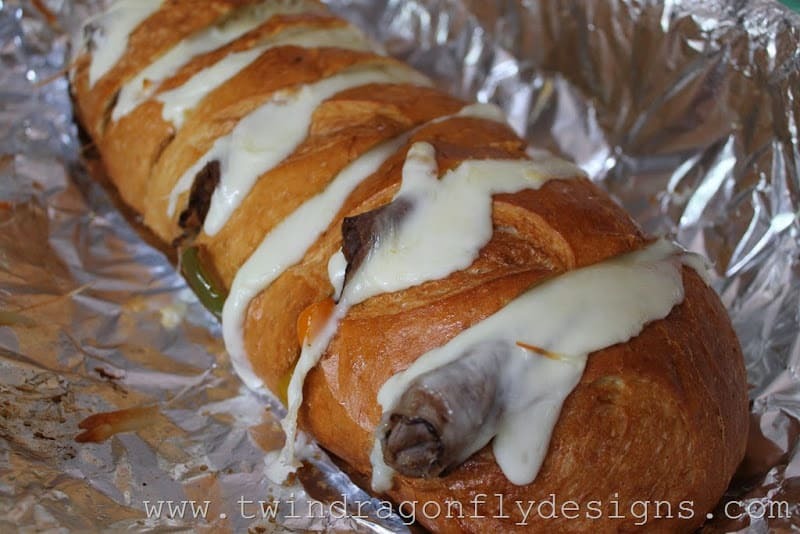 It’s perfect for lunch or dinner and it’s something the whole family will enjoy. This breakfast tastes amazing when cooked on a grill or over the fire. And is the perfect way to start the day on your family camping trip. It makes a great brunch too if everyone is sleeping in after a busy day of outdoor fun. 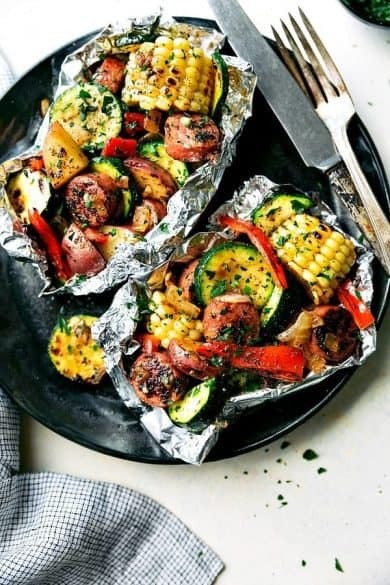 All the ingredients fit in a foil pan for easy cooking. 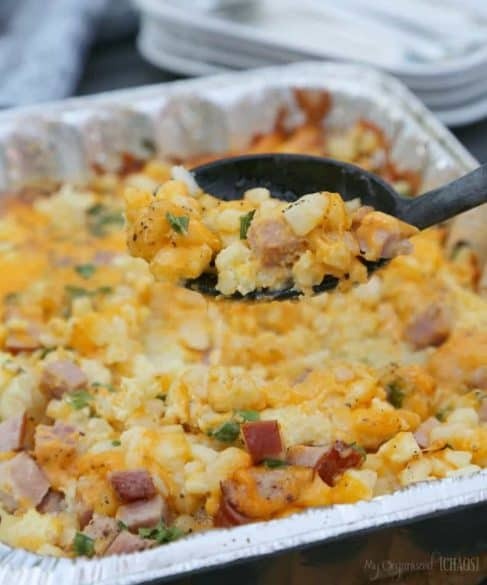 You’ll want to try this BBQ Breakfast this summer when you go camping! 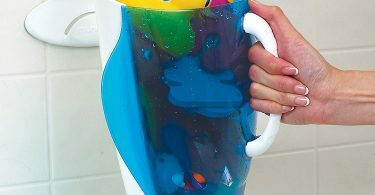 How to Keep the Kids’ Bathroom Clean All the Time – No, Really!